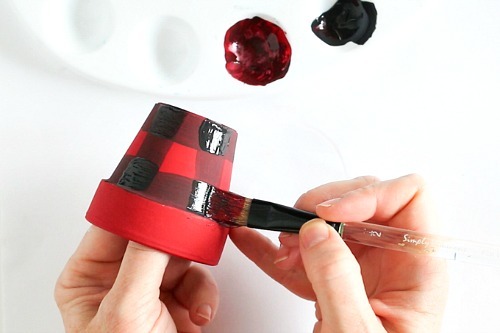 Buffalo Check Gift Pots Craft. 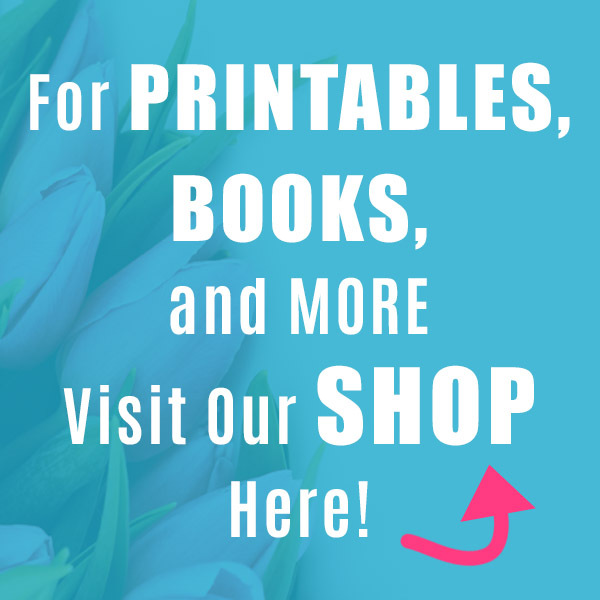 Want to give gifts a bit more creatively this year? Then you should consider putting them in something other than a gift box or wrapped in wrapping paper. Why not put them in a gift pot! When most people think of gift pots, they think of gardening gifts (which is a great way to use them). But a gift pot could hold anything. Plus, you can paint them to make them cute! 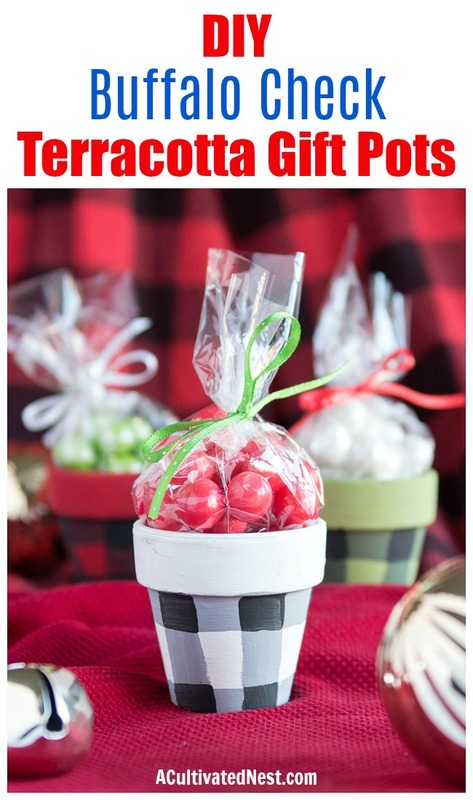 Today I’ll show you how to make small DIY Buffalo Check Terracotta Gift Pots to gift holiday candies! Of course, just because I used small terracotta pots to make my DIY buffalo check gift pots doesn’t mean you have to use such small ones, too. 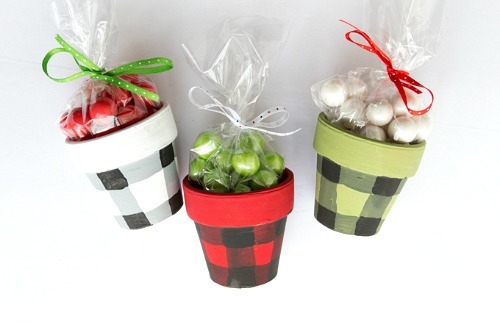 While bigger pots are heavier, they could be a fun way to gift something larger! Or you could fill them with several things, like how you would use a gift basket! 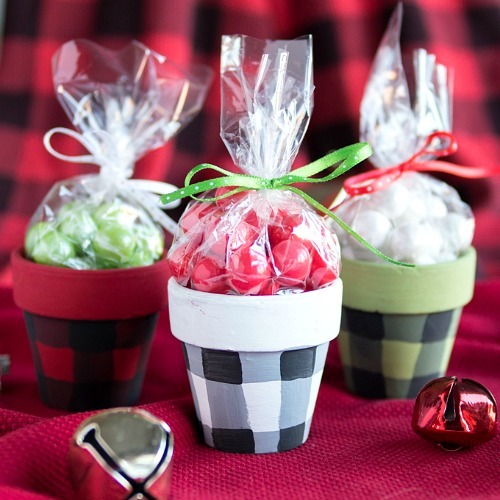 But I like these small gift pots for gifting candy, or gift cards! 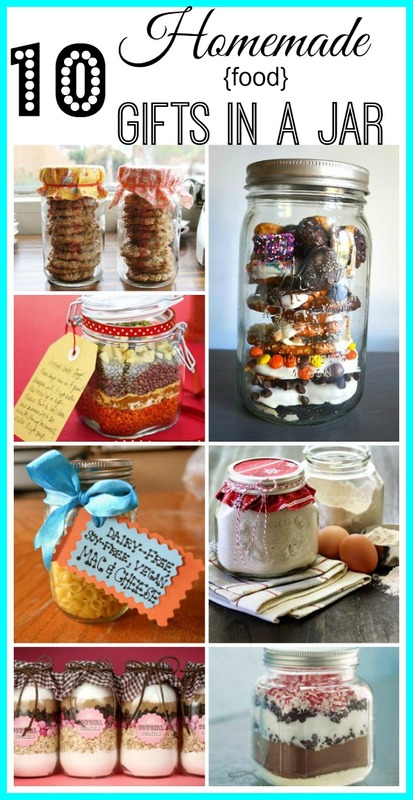 These would make great DIY gifts for your coworkers, or for your kids’ teachers! Cellophane treat bags, thin craft ribbons, and an assortment of holiday treats. 1. 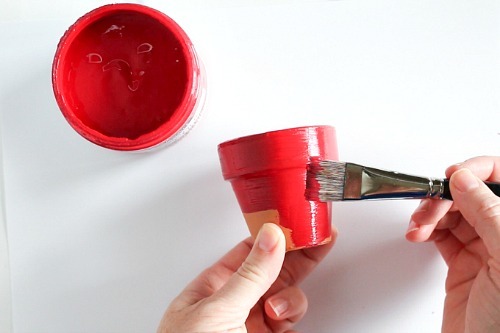 Paint the entire outside and inside surface of the pot either red, green, or white (choose one- I made a red gift pot in the pictures). Let dry completely. 2. On a mixing surface (paint palette, paper plate, etc.) place some black paint. 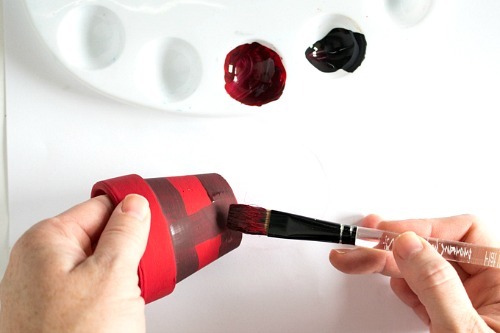 Then blend the black with your pot’s main pant to make a very dark, nearly black color. This just looks nicer than painting the stripes with pure black. 3. 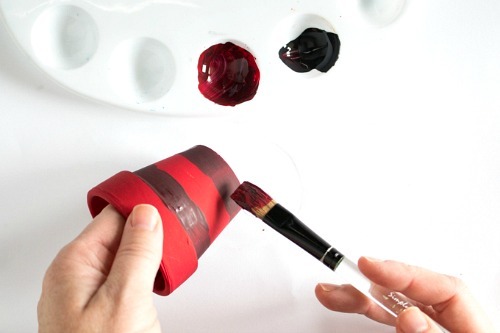 Use the blended color and a flat brush to create horizontal and vertical lines on the terracotta pot. Try to space them apart evenly. Let dry. 4. Use the black blended paint to paint in the overlapping squares to make them darker. Let dry. 5. 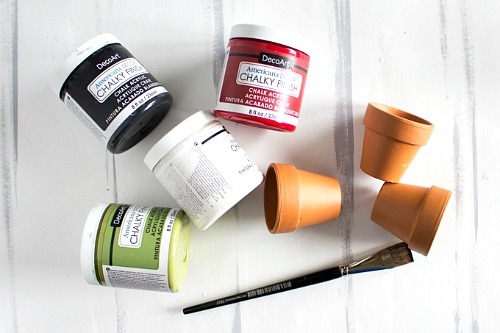 Your DIY terracotta gift pots are ready to fill up! 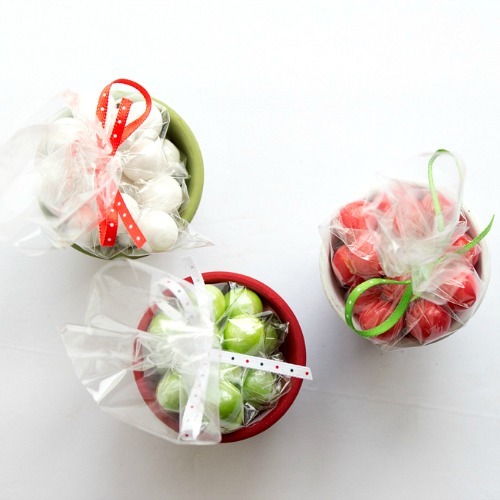 Fill the mini pots with goodies of your choice such as little chocolates or candies (put them in cellophane treat bags and tie them closed with thin ribbon so they won’t spill out). If your gift recipient tends to like healthy things, why not add some flavored pretzels or flavored nuts/trail mix? Homemade chocolate bark could also be broken up to fit. 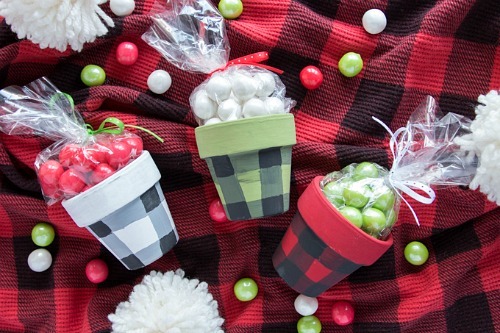 These DIY buffalo check terracotta gift pots are an easy craft that will make your holiday gift stand out! 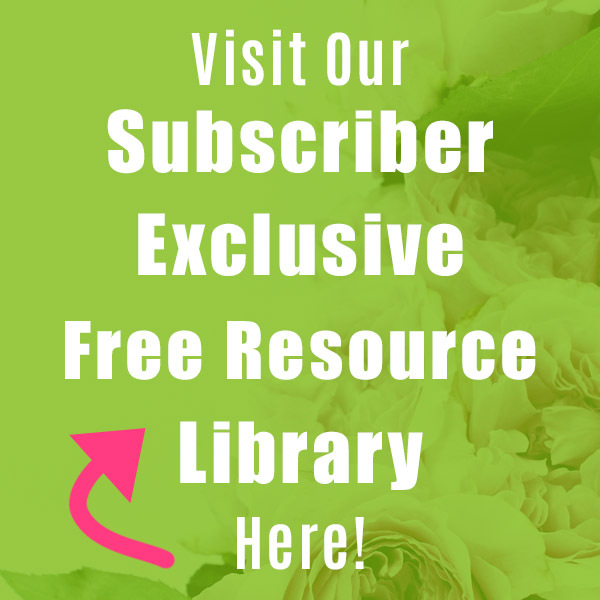 Do you like to give gifts in unique packages? 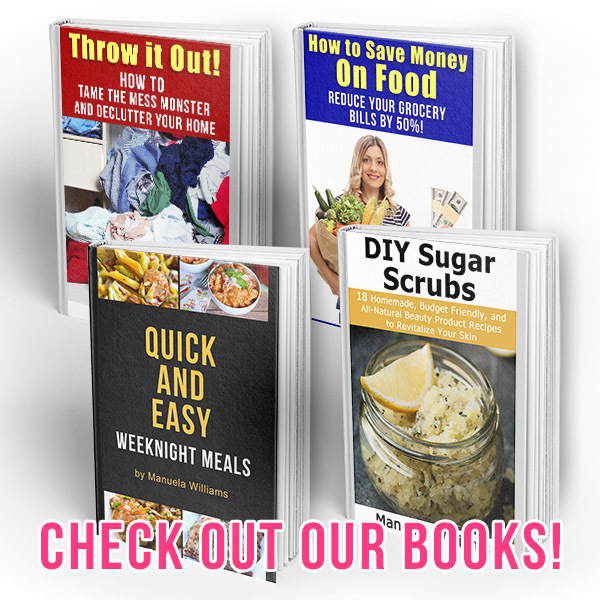 Hi Jean, thank you so much for being such a loyal reader! 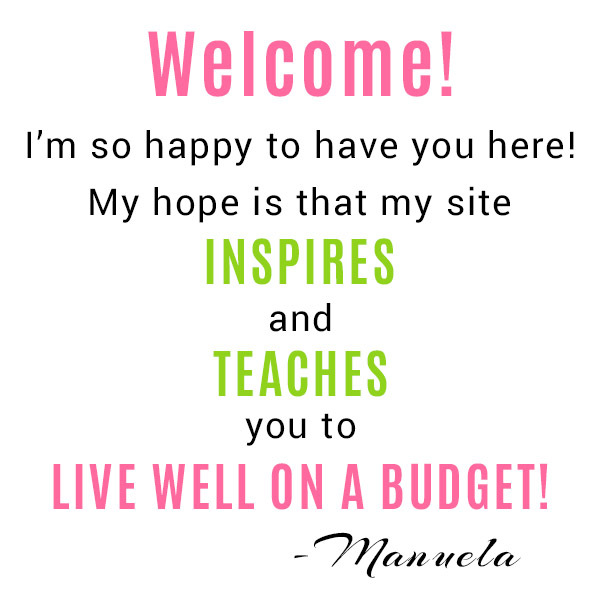 We’re so glad that you’ve found our ideas helpful. We have lots of great content coming next year so stay tuned. Merry Christmas!